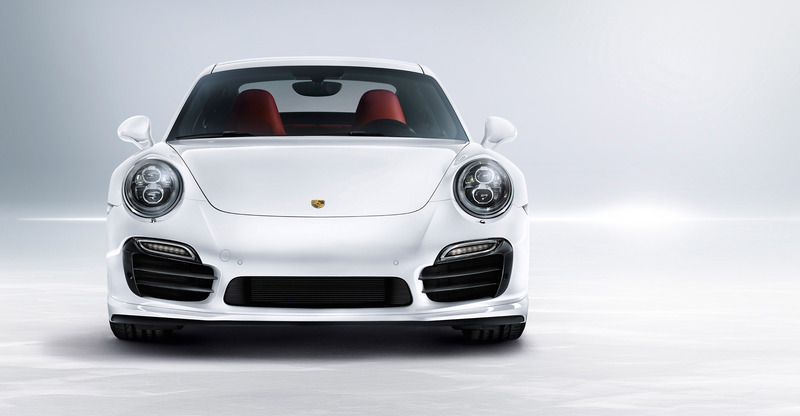 The Porsche model offensive in the anniversary year of the 911 is reaching new heights. 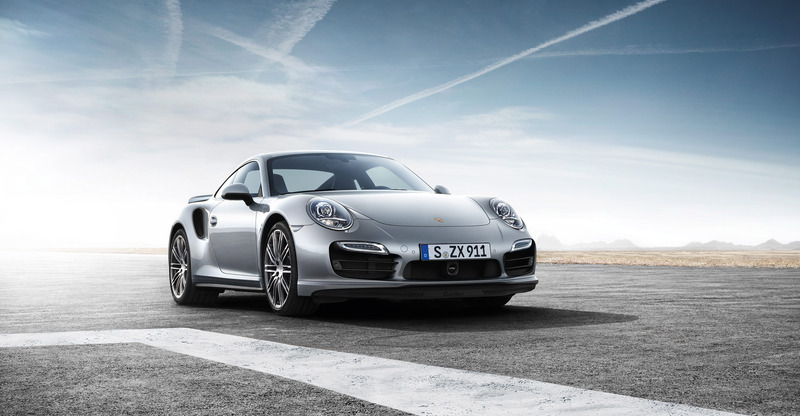 Fifty years ago, the 911 made its debut at the Frankfurt International Auto Show - and just ten years later, the first 911 Turbo prototype was at the IAA. 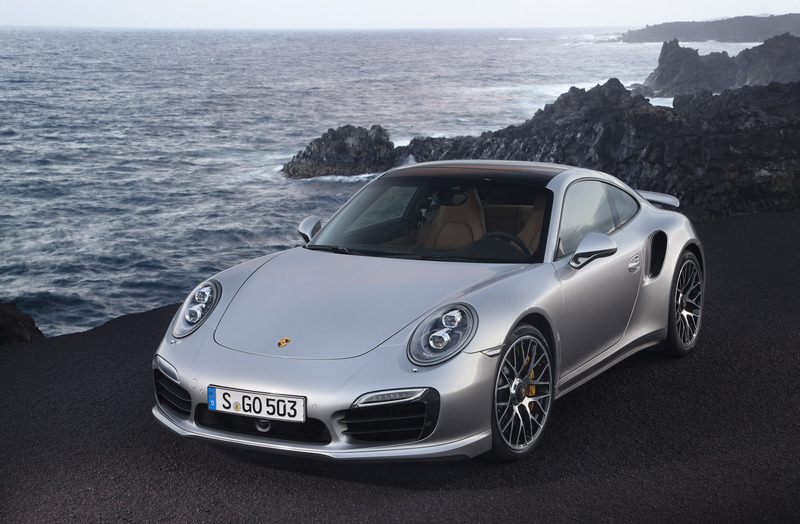 On this 40th anniversary of the 911 Turbo, Porsche is now presenting the new generation 911 Turbo and Turbo S " the technological and dynamic performance peak of the 911 series. 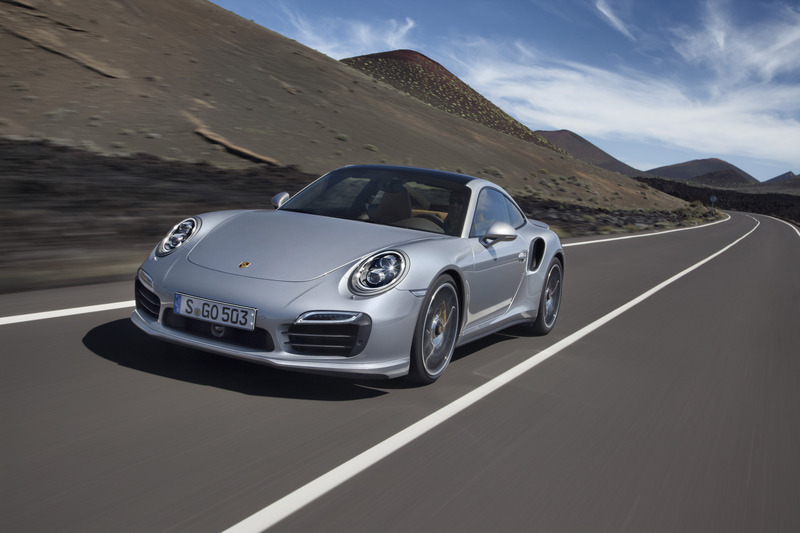 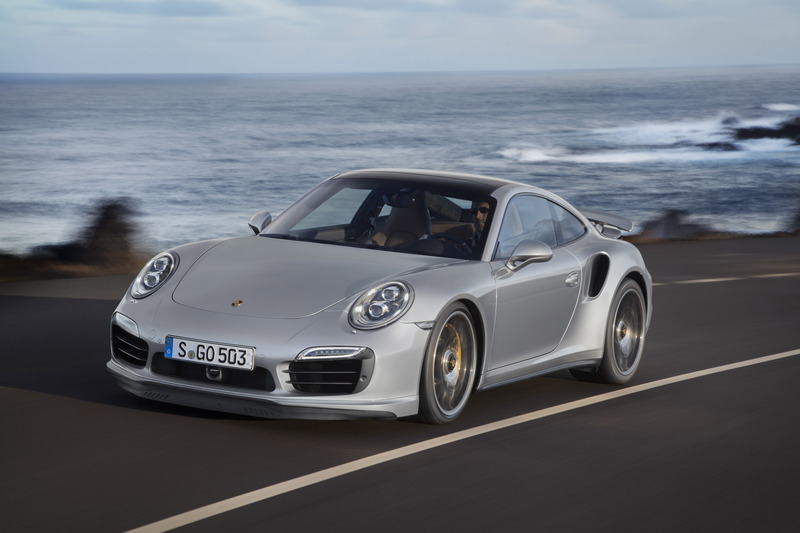 A new all-wheel-drive system, active rear axle steering, adaptive aerodynamics, full-LED headlights, and up to 560 hp from a flat six-cylinder engine with twin-turbochargers underscore the role of the new generation 911 Turbo as an ultra performance car, every day car, and technology flagship. 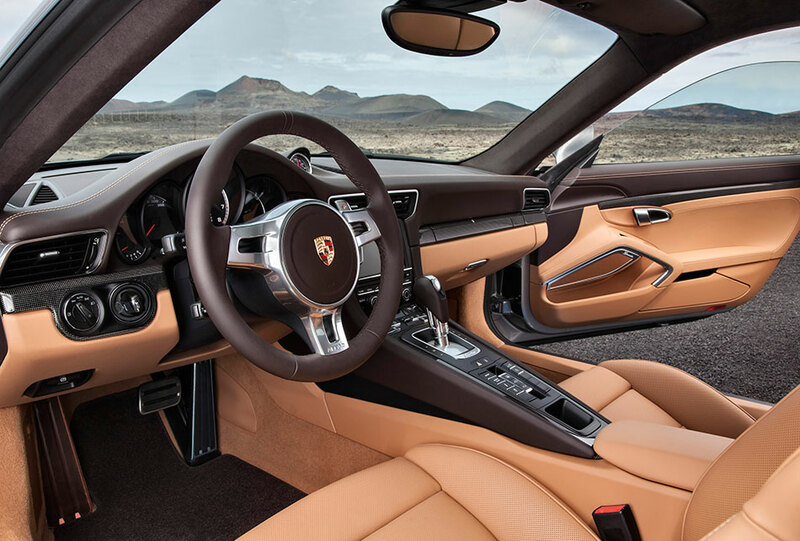 Playing an equally crucial role are an entirely new chassis and lightweight design with a 3.9-inch longer wheelbase and larger 20-inch wheels. 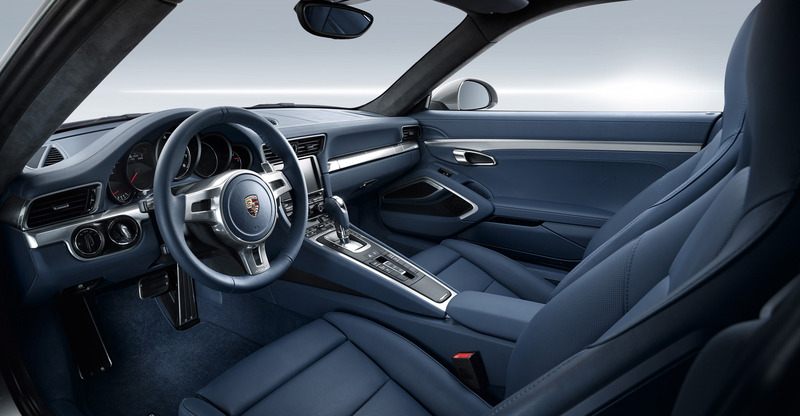 The Porsche Dynamic Chassis Control (PDCC) active anti-roll system, which is being offered for the first time in 911 Turbo models, increases dynamic performance even more. 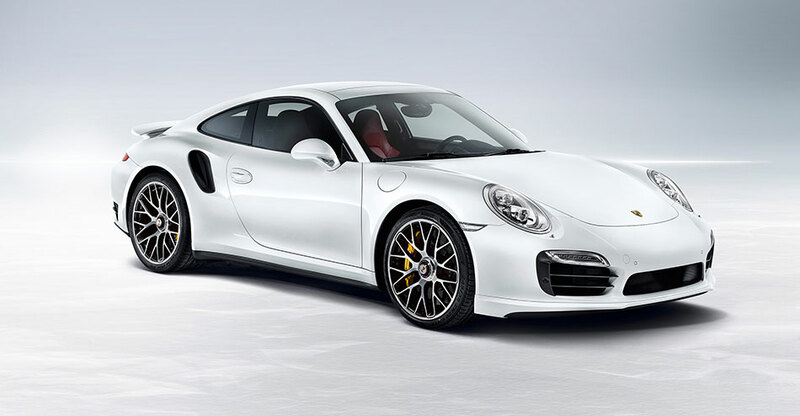 This system is standard equipment in the 911 Turbo S, as is Sport Chrono Package Plus with dynamic engine mounts, and Porsche Carbon Ceramic Composite Brakes (PCCB); all of these features are also available as options in the 911 Turbo. 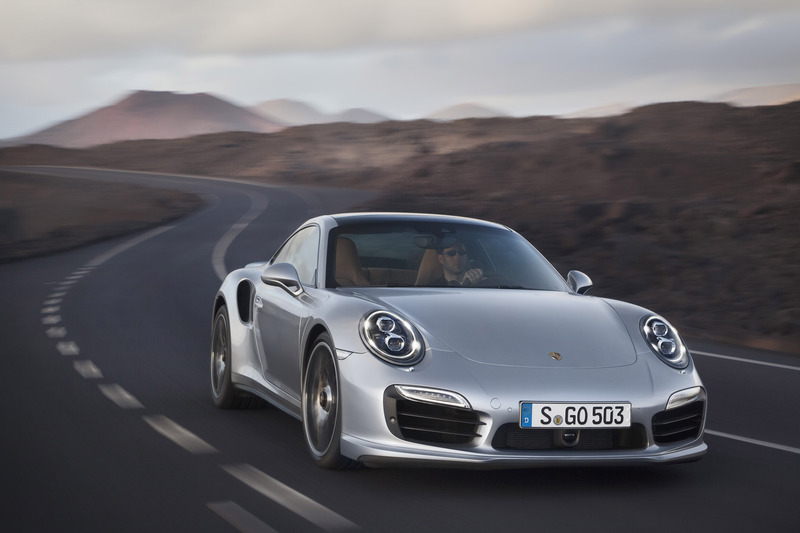 The result: The new 911 Turbo S shortens the lap time for the North Loop of the NÃ¼rburgring to well under 7 and a half minutes â€" with standard production tires. 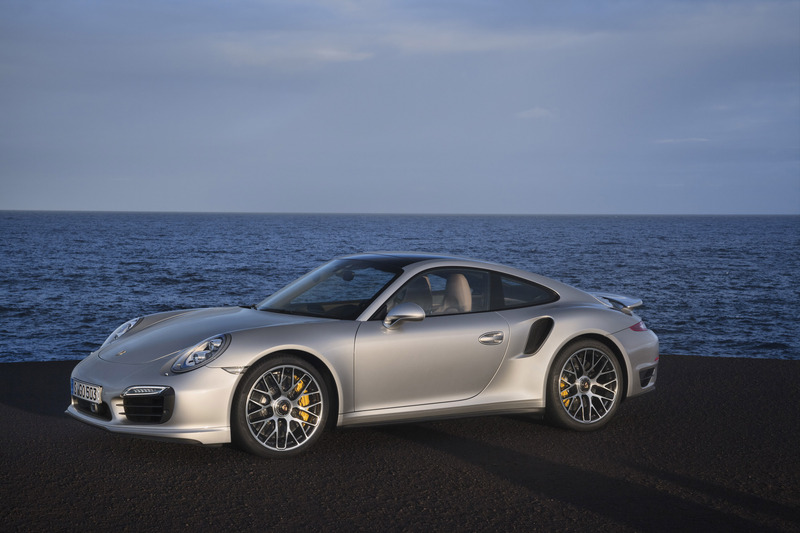 Visually, the two new top variants of the 911 lineup are set apart from other models more than ever. 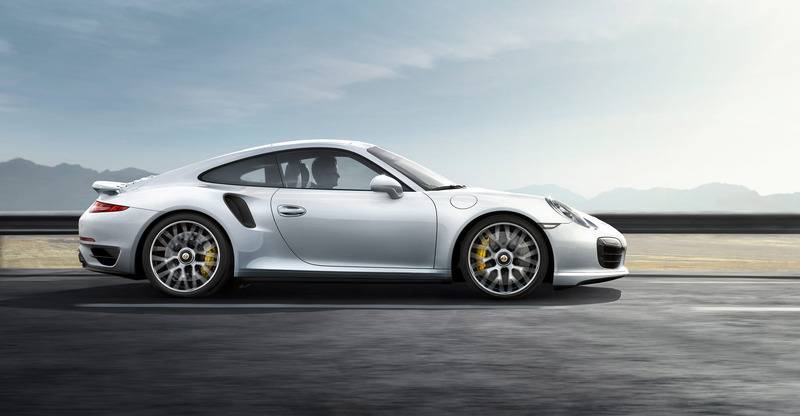 The characteristic expansively wide rear body panels of the new generation 911 Turbo are a further 1.1 inches wider than on the 911 Carrera 4â€" the fenders feature a nearly level surface, about the width of a hand, between the C-pillar and the outer edge of the car body. 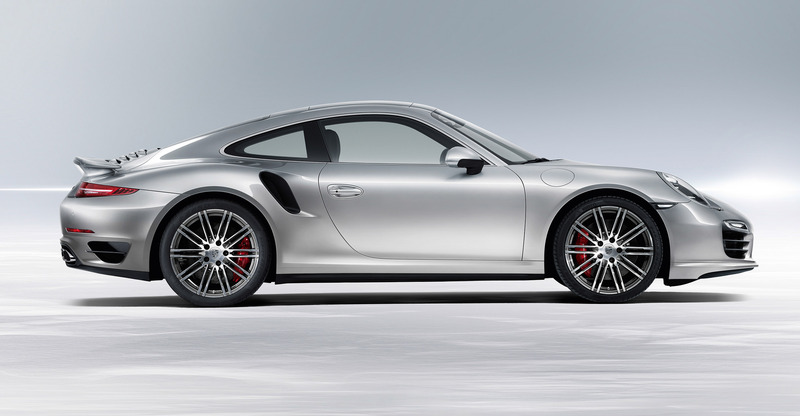 Other differentiating characteristics include forged two-tone 20-inch aluminum wheels. 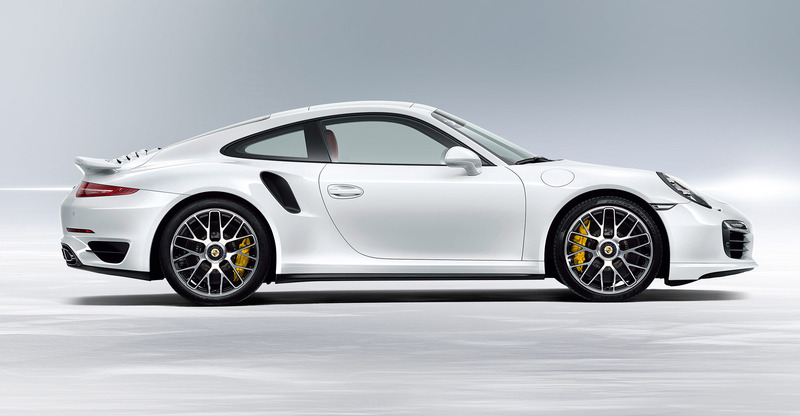 On the 911 Turbo S they have center hub wheel locks. 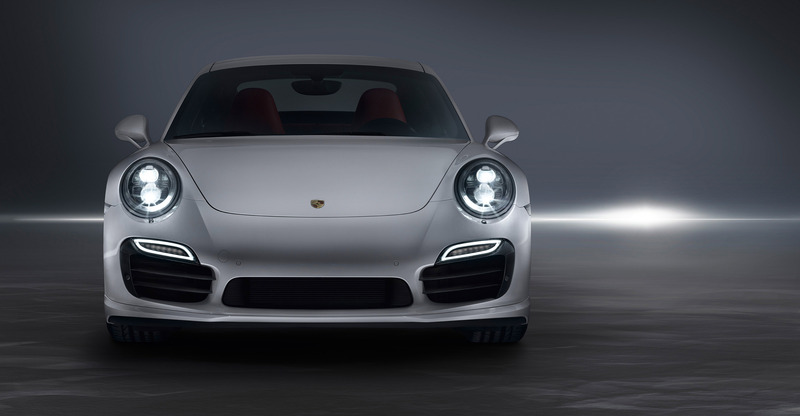 The Turbo S is further differentiated by new, standard full-LED headlights that feature four-point daytime running lights and camera-based high/low beam control, which can be ordered as an option for the 911 Turbo.